Here is a brief excerpt from an article written by Josie Glausiusz in which she explains that, during the summer Soltice in England, she realized that we are all one with the Sun and “we” includes druids as well as NASA scientists. It was published by The American Scholar, the venerable but lively quarterly magazine of public affairs, literature, science, history, and culture published by the Phi Beta Kappa Society since 1932. In recent years the magazine has won four National Magazine Awards, the industry’s highest honor, and many of its essays and articles have been selected for the yearly Best American anthologies. I spent the summer solstice in England, where the sun rose at 4:43 and more than 20,000 druids, pagans, and other revelers descended upon a rain-sodden Stonehenge to drink, beat drums, declare eternal love, and proclaim their unity with the sun. The ancient circle of standing stones, which dates back more than 5,000 years, may once have been the site of sun worship ceremonies that predate the erection of the monumental ring, as well as one of the earliest attempts to study the sun’s movement. Six days after the solstice, on June 27, NASA launched a satellite that will scan the part of the sun—between the surface and the corona—that remains mysterious to modern sun worshippers and everyone else. It is the middle chromosphere, a layer where temperatures soar from 6,000 degrees Kelvin at the surface of the sun to more than one million degrees in the corona, the outer atmosphere. Named the Interface Region Imaging Spectrograph, or IRIS, the $181 million telescope will fly in a sun-synchronous polar orbit—passing over both of Earth’s poles in each revolution—training its ultraviolet “eyes” on a tiny patch of the chromosphere. In that mysterious layer, which is some 1,700 kilometers thick, a strange and anomalous transformation takes place. Usually, the closer you move toward a heat source, such as a fire, the more heat you feel. 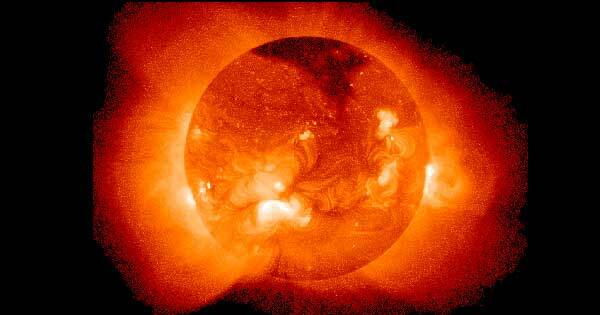 But the solar atmosphere gets hotter and hotter as it progresses farther away from the sun. Most of the heating takes place in the chromosphere and in the transition region just below the corona. Josie Glausiusz has written about every topic known to science, from physics to furry animals, for magazines that include Nature, National Geographic, Scientific American Mind, Discover, New Scientist and Wired. She is the co-author of Buzz: The Intimate Bond Between Humans and Insects.